I only intended this blog site to be a place for me to keep poems that I love and to use it as a reference place for poems I'm quoting in other blogs, however, so much for plans. It's seems that Jo, and Emma, and Oscar, and I, aren't the lovers of poems, so I'm going to post more of them and make sure I do all I can to get the word out. So, enough talk, and on to the verse. 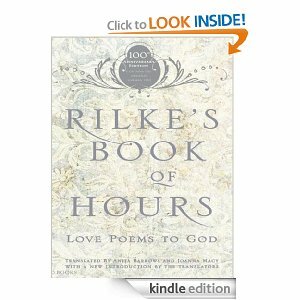 There are more translations of Rilke's poems available than I care to count. Here's the reason why I chose this one and included in the reason is today's poem. I have no recollection of how I came to find this poem, but I do remember that I was instantly captivated by it. I originally posted it on one of my first blog sites, in 2008. 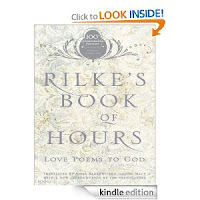 Five years have not dimmed my love for the poem, and now I share it with you. Of stormy midnights, - and a tale untold. And calm blue nights of stillness and the stars. 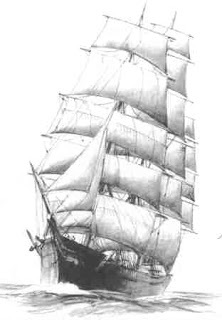 Blowing in mists, their spectral sails like light. existential parting of the ways. And what of a lost soul? And oooh, Sister! Do you have songs to sing?! to make a daisy chain for the sun.